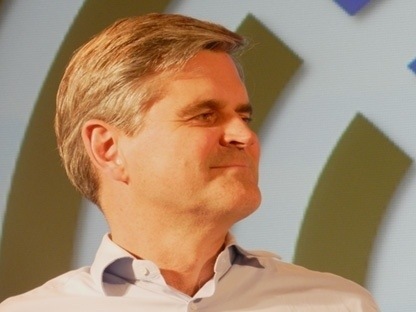 Washington, DC-based Steve Case, founder of AOL, Revolution, and the founding Chairman of Startup America, has made some bold moves over the past few years when it comes to startups. He’s also been a strong advocate for startups everywhere across the nation and on Capitol Hill. Monday, Case put his money where his mouth is again by announcing through TechCrunch. The AOL-owned website reports that through his venture capital arm, Revolution Ventures, Case and partners are raising another $150 million dollar fund to support early stage startup ventures. Revolution is calling the fund “Revolution Ventures II,” and like the previous fund, it will back early stage tech companies. Some of their previous portfolio companies include ZipCar, Living Social, and HomeSnap. TechCrunch also reported that they’ve heard $125 million was already committed. Two and a half years ago Case launched Startup America, a three-year initiative to spur startups, innovation, and job creation. Two months ago Case, along with several others, announced that Statup America was joining forces with Startup Weekend to take the initiatives global. Now we know that Case wants to continue to do his part directly by launching more companies.